A couple of weeks ago I cleaned and refilled the bird feeder. 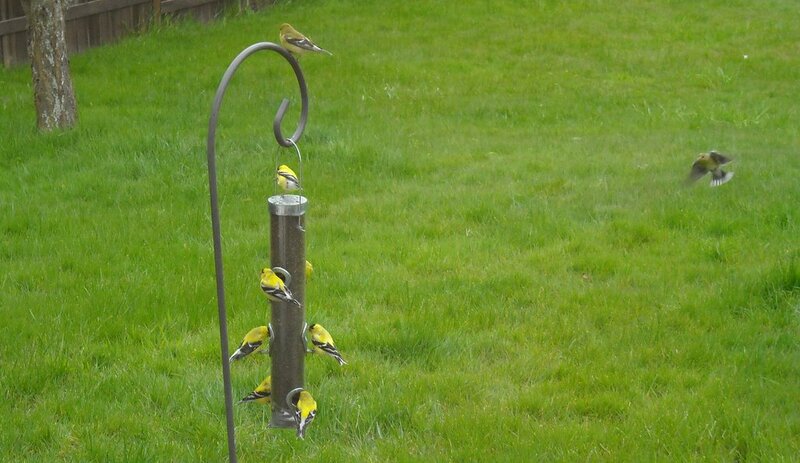 Today the goldfinches discovered my work. At this rate, I’ll have to refill it by the end of the week1. Next Next post: Where in the World was Osama bin Laden Killed?